The ultimate insulated grocery bag! Maintain food temperature and support the environment all at once! 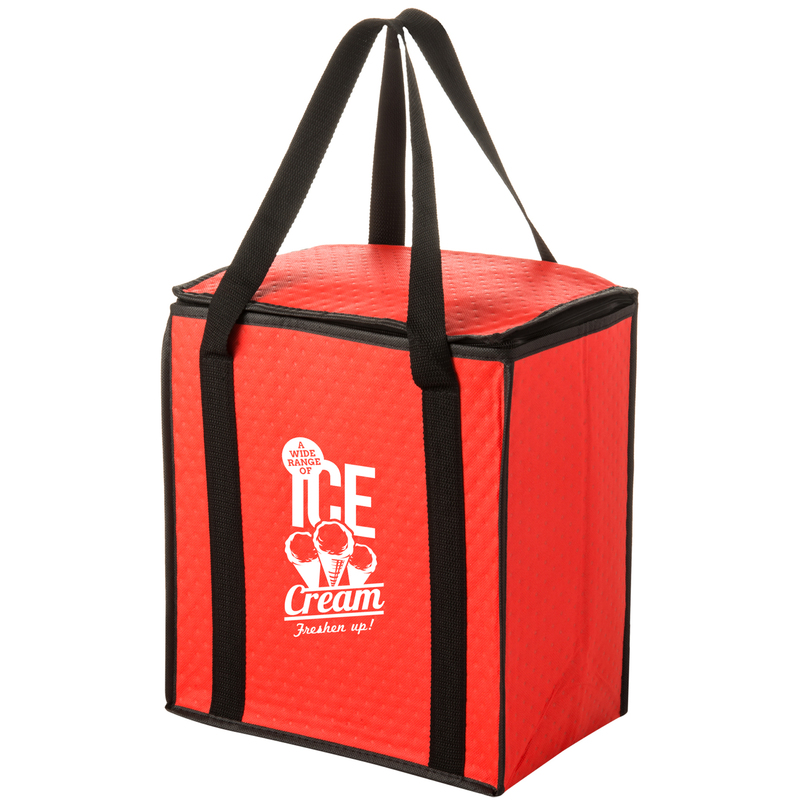 Our insulated tote bag measures 12″W x 13″H with 8″ gussets and 22″ handles. 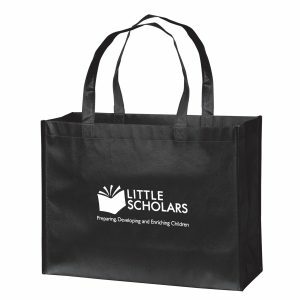 Made from non-woven polypropylene material with an insulated polyester fiber and coated thermal film interior for a total weight of 238 GSM. Keeps food hot or cold for hours! 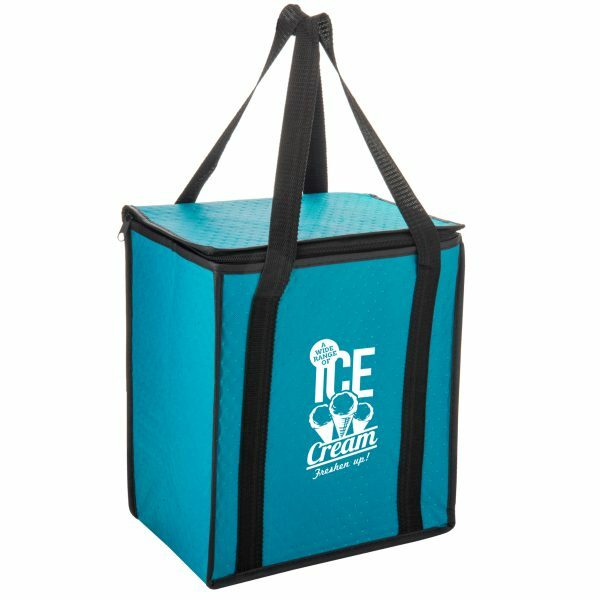 Features square zippered top for a increased capacity. Poly board inserts included. 238 GSM Non-woven polypropylene with thermal lining made from polyester fiber and coated thermal film. 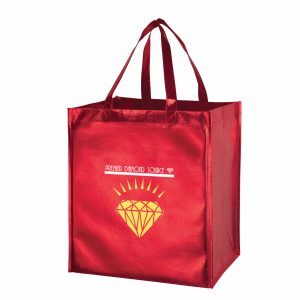 Insulated Non Woven Tote Bag is the ultimate insulated grocery bag! Maintain food temperature and support the environment all at once! Our insulated tote bag measures 12″W x 13″H with 8″ gussets and 22″ handles. 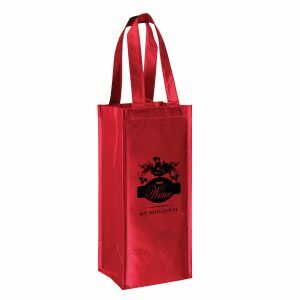 These non woven reusable grocery bags will be just what your company needs. See other great reusable insulated cooler bag options here.